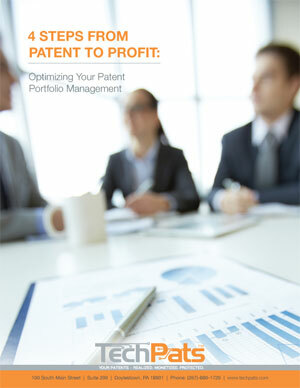 Patent portfolio management does not just take care of itself. It requires a plan and a strategic direction. To successfully take your patents from potential to profit, you need an approach that brings every patent portfolio management technique into play: patent filing, patent licensing, patent litigation and - when appropriate - patent sales. Enter your email address in the field below and we will send you this free tip sheet, 4 Steps From Patent To Profit: Optimizing Your Patent Portfolio Management.